Let’s be real – Valentine’s Day is a gal’s holiday. 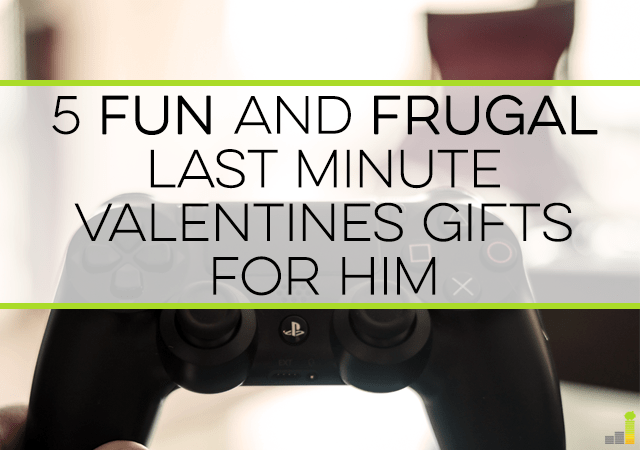 Finding perfect last minute valentine gifts for him that are frugal is the trifecta of gift giving; it won’t be easy. It’s difficult to know what to get the man in your life for Valentine’s Day, especially if you’ve waited until the last minute AND you don’t want to spend a bundle of cash. Sometimes, the hardest part is knowing what to get him. 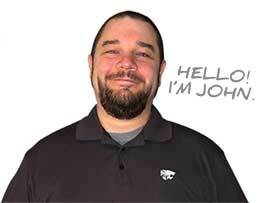 Rest assured, we’re here to help. I’m going to share a few frugal gift ideas that I’ve used myself over the years to find gifts for my husband that he really liked. Hopefully, these five frugal last minute valentine gifts will help you in your quest to do the same. Related: If you’re looking for some ideas for some last minute Valentine gifts for that special woman in your life, you can check out the post here. Does your man like to play guitar – then look no further for one of your last minute Valentine gifts. Get him guitar picks. If he plays drums, pick up a pair of sticks for him. Then, personalize them by writing him a special message on the sticks and pics. Is he a bookworm? Look for or make him a bookmark or grab a book light for his paper books or eReader. You can make a ‘Book Lover’s’ gift package complete with hi liters, candy or nuts to munch on and the aforementioned items, all of which are frugal, fun, easy to find and well-suited for last minute valentine gifts. The key is to think little, ordinary and personal. When packaged together and given with a thoughtful homemade card, your man will see you put time and thought into his Valentine’s Day gift, and should feel loved and appreciated, which is ultimately what you’re trying to achieve. Does your man enjoy to watch a show at the end of a long day but hates having a nasty cable bill to deal with? This is where the Amazon Fire TV Stick can be one of the great last minute Valentine gifts he’ll love. With the Amazon Fire Stick he can plug it in to your TV and have unlimited access to the Amazon Prime, library. In addition to that, you can also watch from channels like ESPN Go, A&E, the History Channel, HBO Now and many more. We’ve had the Amazon Fire Stick for several years and really enjoy what it offers. If you’d like to cut the cord completely, you can also buy him a Mohu Leaf 50 to get all your local channels in crystal clear fashion. If your man loves sports like mine does, then these two frugal, last minute valentine gifts ideas should do the trick this Valentine’s Day. Get him a subscription to a magazine – either electronic if he has a Kindle, iPad mini or other e-reader, or paper. If he likes ESPN or Sports Illustrated, you may even be able to score him a subscription to “ESPN The Magazine” for free as I did by getting him my other frugal sports gift idea – a subscription to ESPN Insider. I chose the two-year option for about $30 and he loves it. It’s seriously one of the best gifts (last minute or otherwise) I think I’ve ever given Mr. Frugal Rules. With spring and summer upcoming, many men may be looking for new sports gear for their favorite team which can make a great last minute Valentines gift. If you’re husband enjoys grilling as much as mine then anything to use while doing so will be one of the best last minute Valentine gifts you can buy. BBQ sauce is always a popular gift, which is why I’ve given Mr. Frugal Rules the Kansas City BBQ set variety pack in the past as he loves it. Other great options that work well as last minute Valentine gifts are the Cuisinart Grill Kit or the bbq rub kit from Flying Swine for the grill lover in your life. The night before you and your husband or boyfriend are going to celebrate Valentine’s Day, turn your kitchen into his personal bakery. If you like to bake, this is a fun, frugal Valentine’s Day gift idea. If I was going to do this for Mr. Frugal Rules, for example, I would make my killer brownies since they’re his favorite desert that I make. Buy a red or Valentine’s Day themed plate, place the brownies, cookies, candy, cupcakes or whatever you decide to bake on the plate, wrap it up and place a bow on top. If Valentine’s Day falls on a week day and you feel comfortable doing it, surprise him at work by dropping the plate and a small note off to him there. 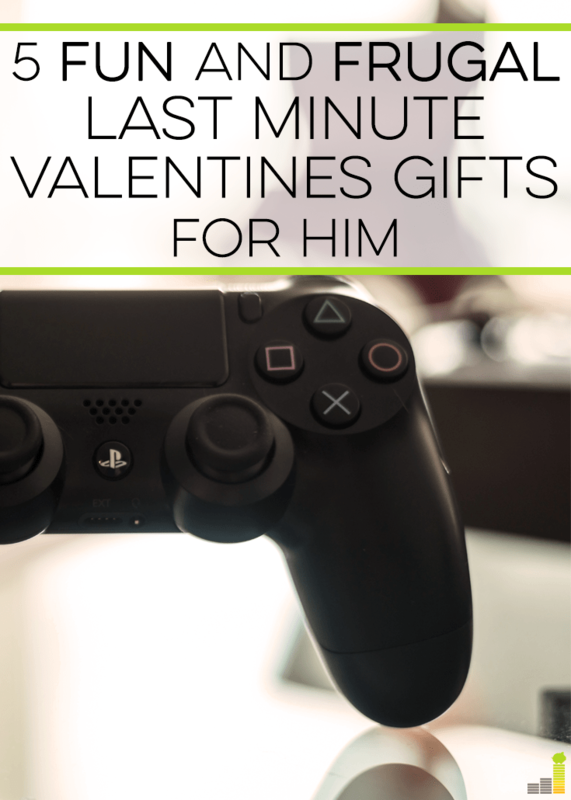 He’ll surely be the envy of his co-workers and you will have accomplished your goal of giving him some satisfying last minute valentine gifts! Another option is to pair this sweet treat with a gift card from American Express so he can purchase a little something for himself. Frugal and cheap are two different sentiments. Frugal gifts pack value for their cost; cheap Valentine’s Day gifts are just, well…cheap. You know the difference. Look for a good deal, not necessarily a cheap product. Remember that the goal of Valentine’s Day gift giving is to make the man in your life feel loved. Valentine’s Day is a special day (albeit probably contrived by the greeting card industry to make billions off us each year) that we get to show that special someone in our lives just how much we love them. Take advantage of it as an opportunity to remind yourself, and him, what you love, appreciate, respect, and admire about him. What’s are some of the best last minute valentine gifts you’ve given the man in your life? I will have to pass this post along to my wife 😉 Thanks for sharing! Thanks DC! That’s the beat compliment I could receive on my writing. Glad it was useful and I hope you get something you’ll love. I don’t need my girlfriend to get me an expensive gift or really any gift at all. I am much more happy when she puts thought into the gift – like cooking me my favorite meal or offering to do some of my household chores for the day. Don’t get me wrong, I do like gifts, they just aren’t required and most times, the simpler the better. My husband would love the 12 pack suggestion as well as a made at home steak. Good suggestions. Cool. Let us know of one of those beers ends up becoming a new favorite. Practical is good, especially for guys. In general my opinion on gift giving is that it’s most important to give something that you think the other person will actually enjoy. Great post, Nicole! Love the idea about the hand-picked 12 pack. And you’re so right: frugal and cheap are two totally different things. Have a wonderful Valentine’s Day! I like the 12 pack idea! Wouldn’t go for the cheap cologne though, that does scream “didn’t know what to get you”, like the tie or pair of socks! Ha ha! I guess you just really have to take it on a case by case basis because Mr. Frugal Rules loves to get cologne as a gift and he loves it even more when he knows I got it as a deal. We don’t usually buy any gifts for Valentine’s Day. In our house, just being able to both be free that evening is a huge bonus for us. When we are, we’ll either cook a meal together and set the table for a intimate dinner, or we’ll go to a nice restaurant and savour a good meal. Sorry….I got to #2 and started giggling out loud…. BEER!!!!! ……showing this to my wife right now. BEER!!!!!! I am all about some beer. My wife can get me a 12 pack any holiday and I would be happy. She knows it would have to be a micro-beer. I love the beer idea, and I think guys always love a good gadget! I especially like the personalization that a hand-picked 12-pack allows for. And if he lets you have a taste or two you just might find a new fav beer yourself! The other thing I did recently for mr frugal rules was get him the essentials necessary for a home brew kit. It’s something fun that we think we can try doing together. Wine is a great suggestion! Whatever he enjoys…I once gave mr. Frugal Rules a bottle of raspberry vodka as a gift. I used to get a small bottle of cologne for Christmas every year from my mother from the time I started shaving until the time I graduated college. I still have some of those bottles! Now the brownies area gift I’ll take any day! That’s very cool, and sentimental! I love idea #5 – Bake a Cake (or Brownies or Cookies or Candy). I’m a sucker for home cooking! I cook some myself but there’s nothing better and appreciated than when someone else treats you to their own cuisine or baked goods. My wife and I exchange token gifts, she gives me oatmeal raisin cookies and I give her sees (4-6 pieces) candy. As long as you see eye to eye and feel appreciated and loved, I think that’s perfect! hmmm…..brownies and cupcakes! Nothing says I love you my sweetie than a sweet delicious treat! #5 is definitely a winner in The Frugal Path household. My wife doesn’t bake often, I really don’t need it. However, when she does it makes my day. Another great one Nicole. Beer and ESPN, what man wouldn’t love that! Great idea with the sports magazine. I think I just might use that. BF always asked me to make sweets. I typically end up buying a bag of oreos and calling it good. This year I’m going to make him his favorite cake as a surprise. He teases that I never cook and don’t know how to turn on the oven, so this year I’m going to have to prove him wrong. My husband is quite picky when it comes to his things so I am really having a hard time buying him gifts. I am planning to bake a special chocolate cake for him because we both have sweet tooth and we go crazy over chocolate-based foods. Genius. I need to buy myself some more cologne FOR Valentine’s Day. Ha ha ha ha. Nice, Todd. As a family we are going to make construction paper hearts, and write messages on them. We’re going to take pictures of us, and the kids holding them and send the pictures to our extended family members. We’ll probably stay in and have a romantic homemade dinner as well. Nice gift ideas though, I especially like the beer one! I LOVE your idea! This is something I’d like to do with our kids when they are just a little bit older. I love the idea of expanding Vday to enduring, familial love beyond just the romantic love so kids can get a concept of love as beyond what the culture can sometimes present so shallowly. I like the hand-selected 12 pack for beer drinkers. My husband is getting a case of his favorite potato chips that they no longer sell anywhere near us. It wasn’t cheap but he’ll love it! Way to get your husband something personal, unique and that he’ll enjoy, Kay! What no tools!? Well,, i guess a gadget gift fig counts! The 12 Pack certainly is a novel and well received idea! Great ideas! I’m stumped. So far I have….a bar of dark chocolate. Uh….If I get to shop before tomorrow, VDAY, it’’’ be this afternoon….and I have no idea what to get him. He isn’t into much. Maybe the ESPN thing for his ipad….that sounds good. THANKS!!!!! I always like a nice photo in a nice frame. You can get an enlargement at Walmart and can even crop and lighten the photo there. At Sam’s you can have a favorite photo enlarged to poster size for about $30. I confess I love to cook a romantic meal for him for Valentine’s Day. Seared scallops in a wine cream sauce is a good start! That’s a great idea Maggie! 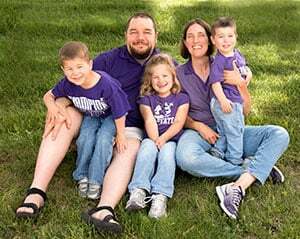 I think you can take the photo idea a number of ways – like a nice photo including the kids and be a hit. Great for the procrastinators out there!